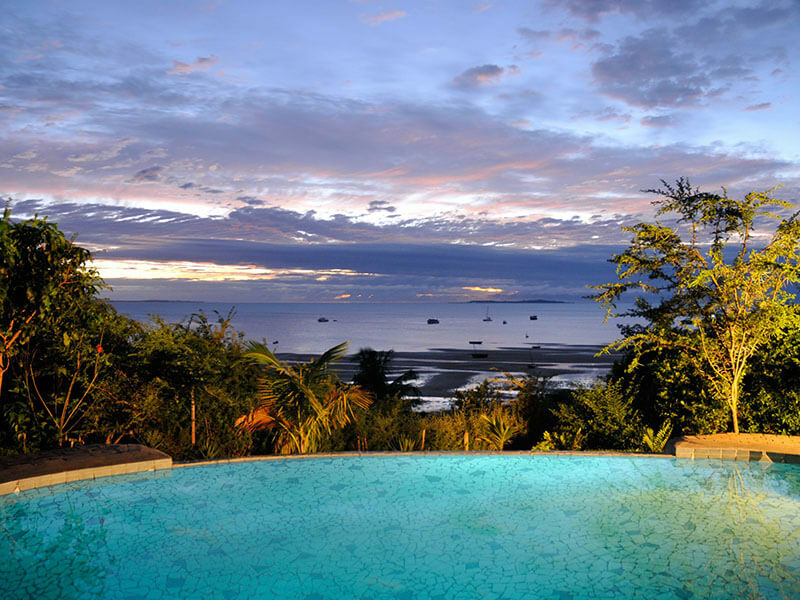 Directly overlooking the dazzling turquoise Indian Ocean & Bazaruto Archipelago Islands, Casa Rex is perfectly placed. Vilanculos retains its coastal charm and vibrant culture, with a unique blend of African, Portuguese and Arab influences. Experience unforgettable diving & deep sea fishing excursions, snorkeling the amazing coral reefs and, traditional Dhow trips to the islands! The a la carte restaurant is renowned for its delectable freshly-sourced seafood specialities, Portuguese dishes and a selection of imported wines and local Mozambican beer. 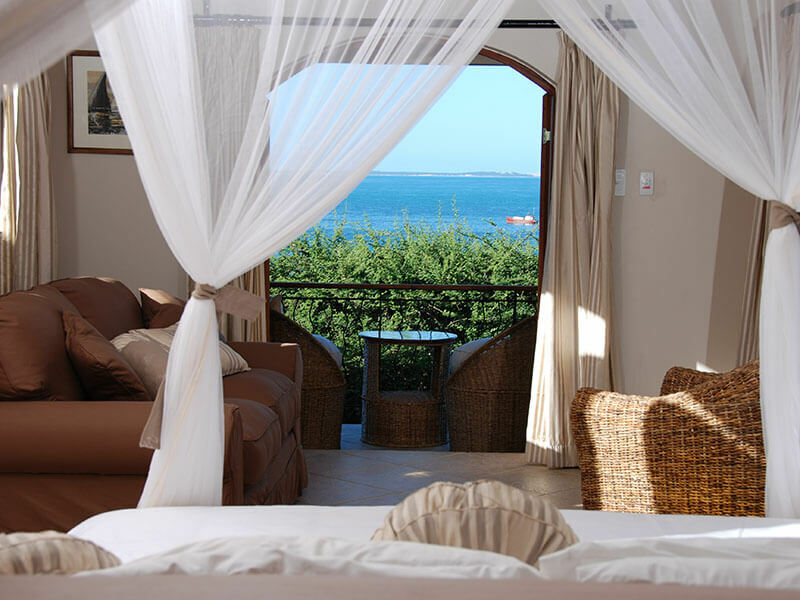 Mozambique Beach Holidays can start in Vilanculos, the gateway to the Bazaruto Archipelago. 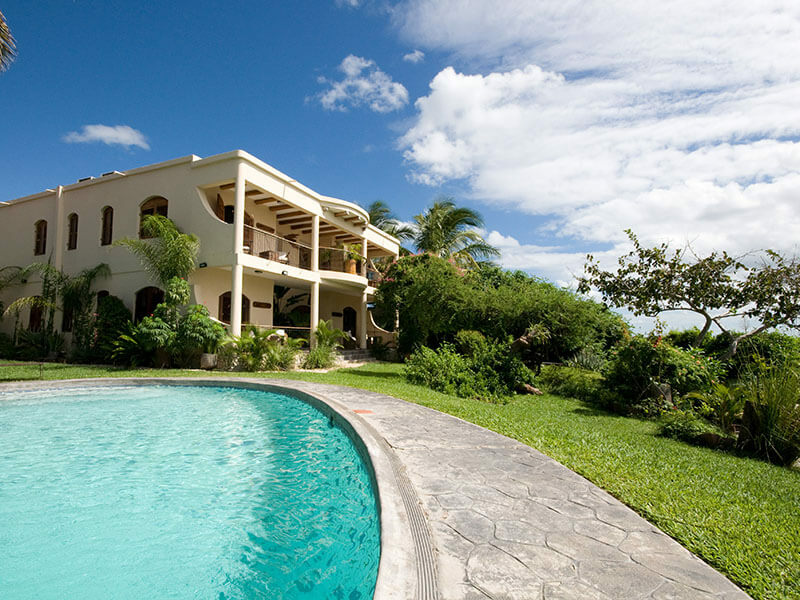 Casa Rex Boutique Hotel, Situated in Vilanculos, is the perfect beach resort for your Mozambique Holiday, it is also ideal as a stopover en route to wonderful Bazaruto Archipelago islands in the warm Indian Ocean. 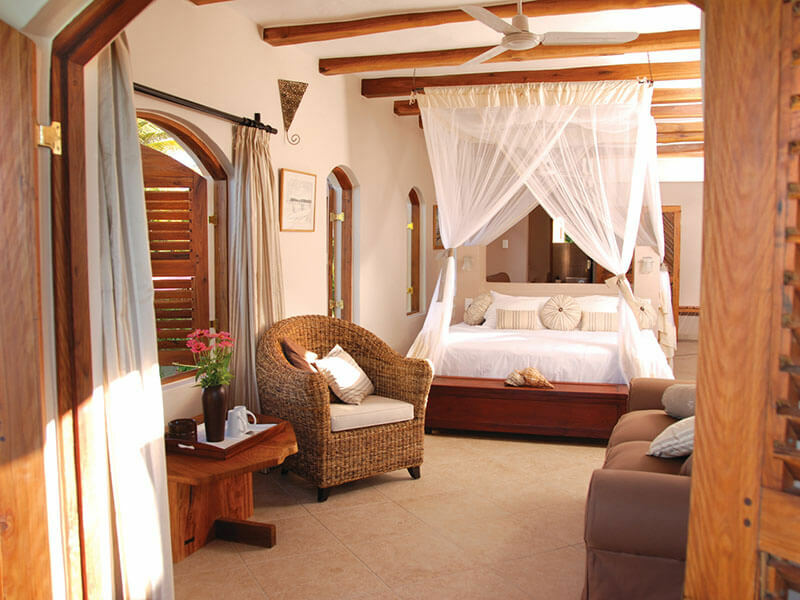 Overlooking the southern-central section of Vilanculos Bay, Casa Rex Mozambique is an intimate bed and breakfast lodge where guests are pampered with excellent service and mouth-watering food. All 15 rooms at Casa Rex are sea facing and have easy beach access, incredible ocean views and a cool breeze filtering through. All of the rooms are air-conditioned. Wireless internet access is available throughout the hotel & satellite TV in the public area. Choose between an Acacia room; a Courtyard suite; a Premium room or the Honeymoon suite for a special occasion at Casa Rex. 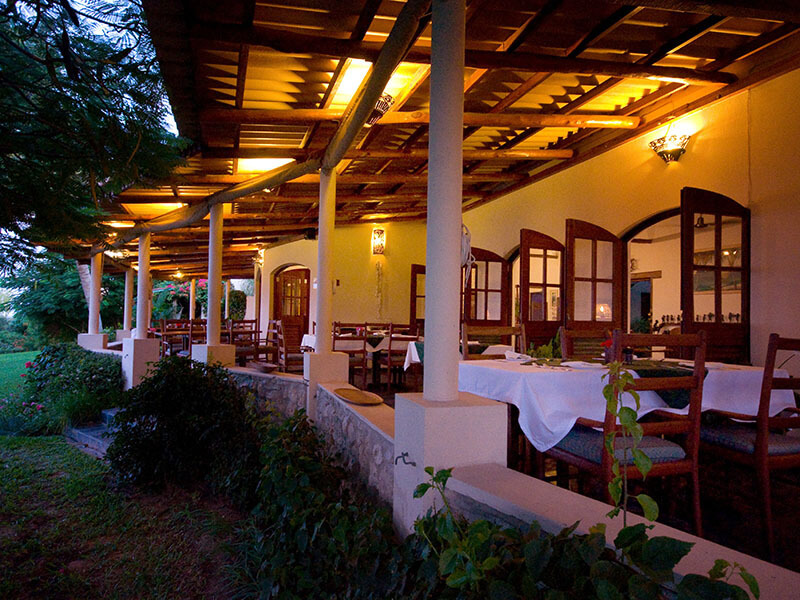 Meals are served on an outside terrace with a spectacular view of the bay & lush gardens. The a la carte restaurant is renowned in the area for its delectable Portuguese dishes including freshly sourced seafood specialities paired with imported wines, or the popular local Mozambican beer. 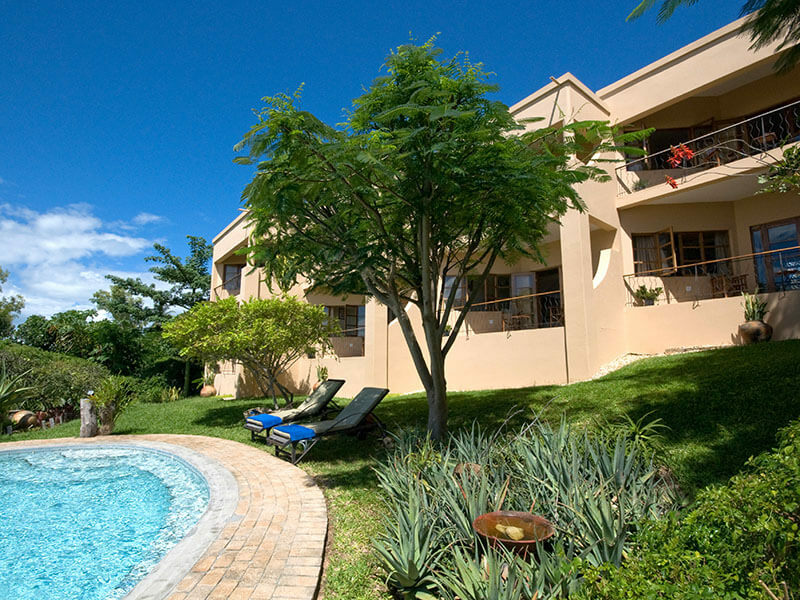 Business clientele & special interest groups are welcome at Casa Rex, with conference facilities for smaller groups. It is also a convenient stop-over for guests visiting the islands. The main areas feature lounge and dining areas, keeping comfort and relaxation in mind. 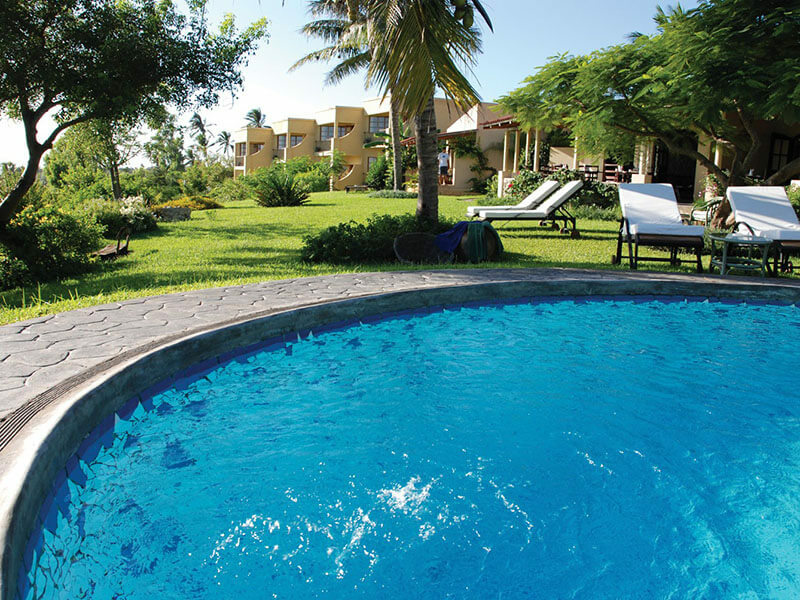 The deluxe swimming pool is the ideal respite on a hot day. Book exhilarating activities and water-sports through the lodge: diving in of the top 10 scuba diving destinations in the world; deep sea fishing excursions; snorkelling; traditional dhow trips; sailing; kite surfing and whale and dolphin watching. Or simply relax with spa treatments, dip into a sparkling pool or sip cocktails on the terrace. 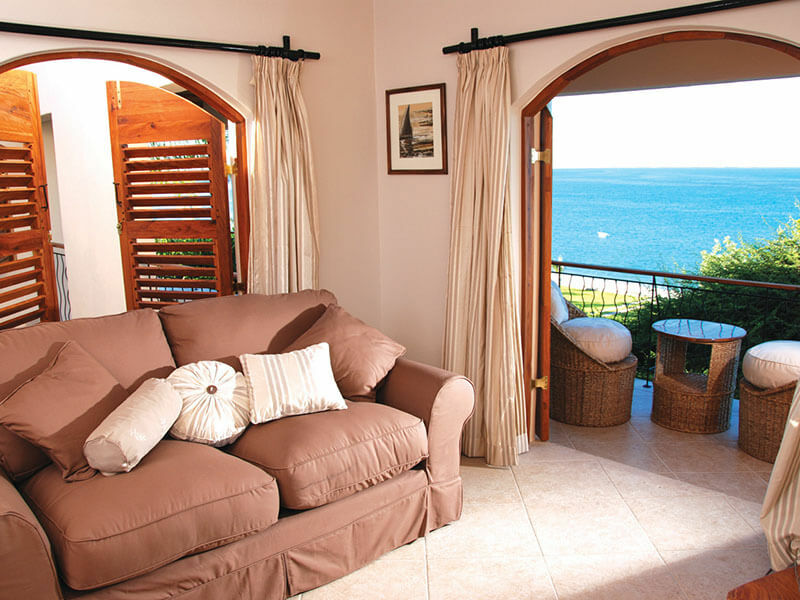 The Premium Rooms at Casa Rex Boutique Hotel have Double beds and beautiful ocean views. 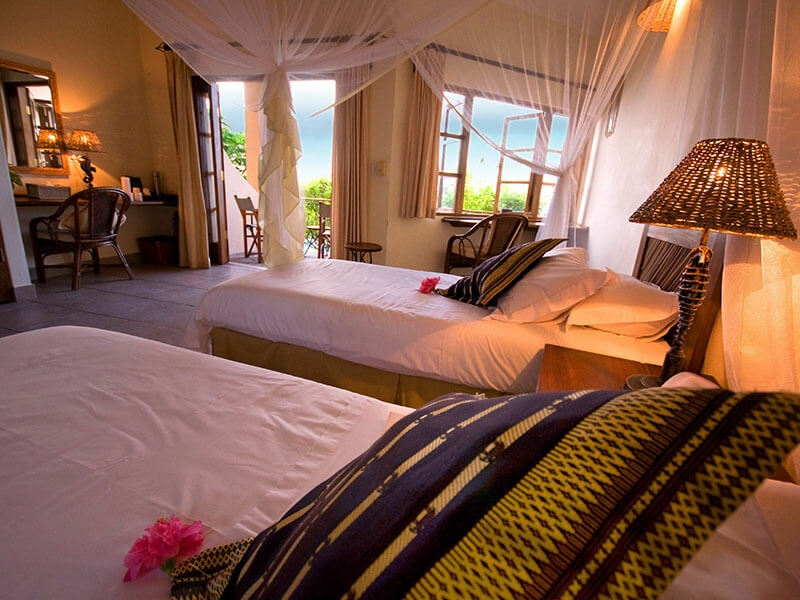 The rooms are equipped with en-suite showers, fans and mosquito nets. One additional bed can be added on request for children. The Acacia Rooms are all en-suite, with air-conditioning, fans, Wi-Fi, and balconies overlooking the turquoise waters of the Indian Ocean. The Courtyard Suites boast magnificent ocean views from their private balconies. The suites are equipped with en-suite bathrooms with both baths and showers, Wi-Fi, bar fridges and tea and coffee-making facilities. The ideal choice for a family. This family unit consists of two double Sea View bedrooms on the first floor and one Luxury Beach Suite pied-à-terre as described above. The perfect suite for a romantic stay for newly married couples…or those just looking for a special touch during their stay at Casa Rex. Continue straight for 18km, you will reach Vilanculos. As you drive into Vilanculos, turn left at the T – Junction & continue approximately 1.2 kms past the BIM bank. You will be faced with another T-junction and your first glimpse of the ocean! Turn left and continue another 500m. Casa Rex (sign-posted) will be on your right. There are also regular flights on LAM from Lanseria and Maputo, and a couple of times a week from Inhambane. “Airlink is delighted to confirm that it will commence operating a direct scheduled air service from Nelspruit Kruger and Vilanculos (Mozambique) from 19 June 2014. Starting initially with 2 flights per week (Thursday and Sunday) the new Kruger to Vilanculos flights will serve to further enhance Airlink’s current flights operating between Johannesburg and Vilanculos, with daily direct departures between Vilanculos and Johannesburg.